To celebrate Japanese Setsubun in our childless (baby cats don’t count) home, I baked Chase Away the Demons Japanese Setsubun Brownies. The brownies may become an annual tradition. The chocolaty brownies put an angelic smile on my husband’s face! 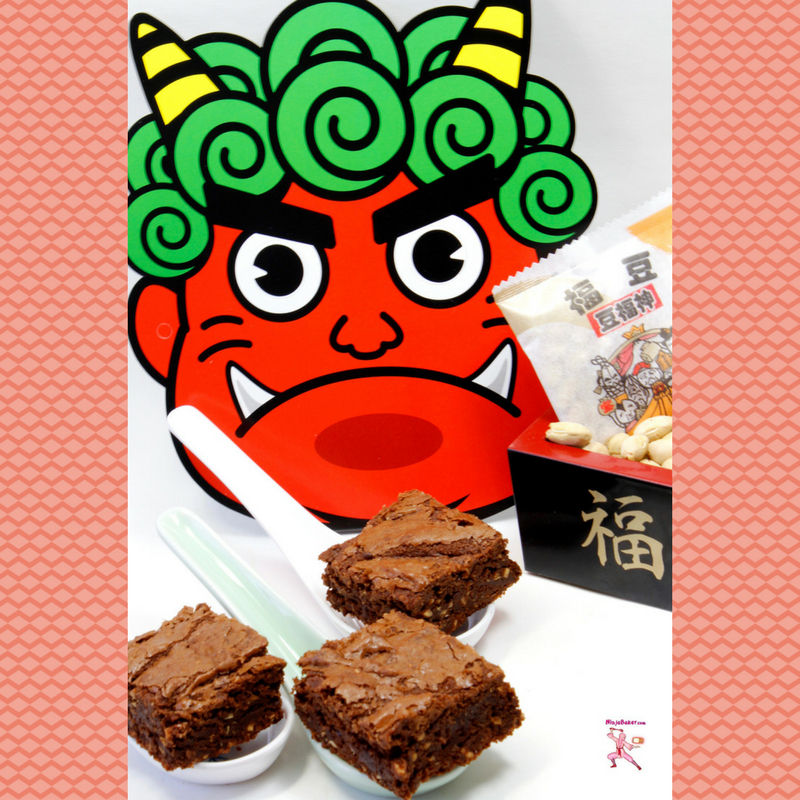 The brownies sprinkled with crushed Setsubun soybeans had him returning for seconds and thirds. Always a good sign. 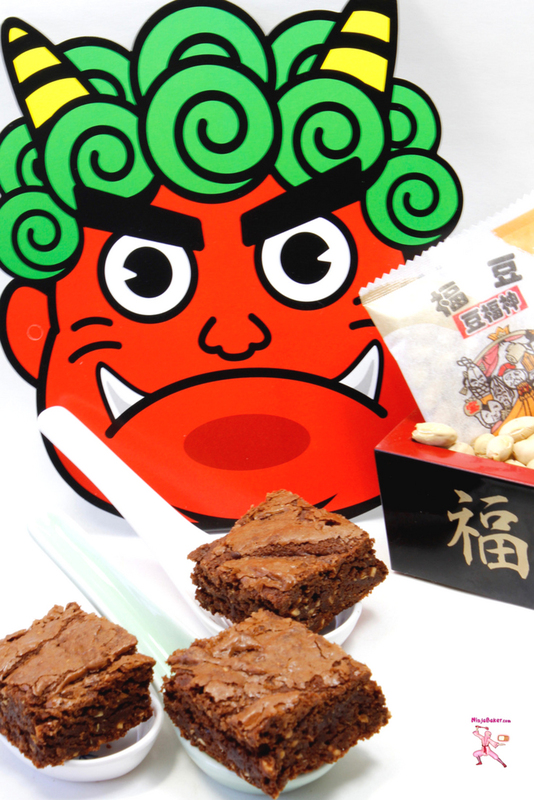 My recipe for Chase Away the Demons Japanese Setsubun Brownies is below. At this time of year, Setsubun roasted soybeans are readily available at Japanese markets in the U.S. 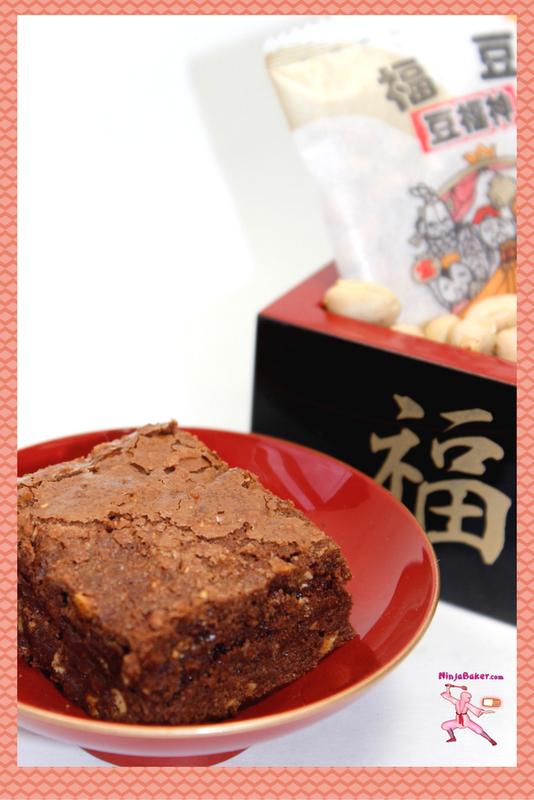 However, you can always substitute peanuts and still produce a scrumptious Setsubun Brownie dessert. If you prefer to enact the ritual of enjoying an uncut sushi hand roll, try my recipes for Vegan California Sushi Rolls and Bee-Bim-Bop Sushi Rolls. 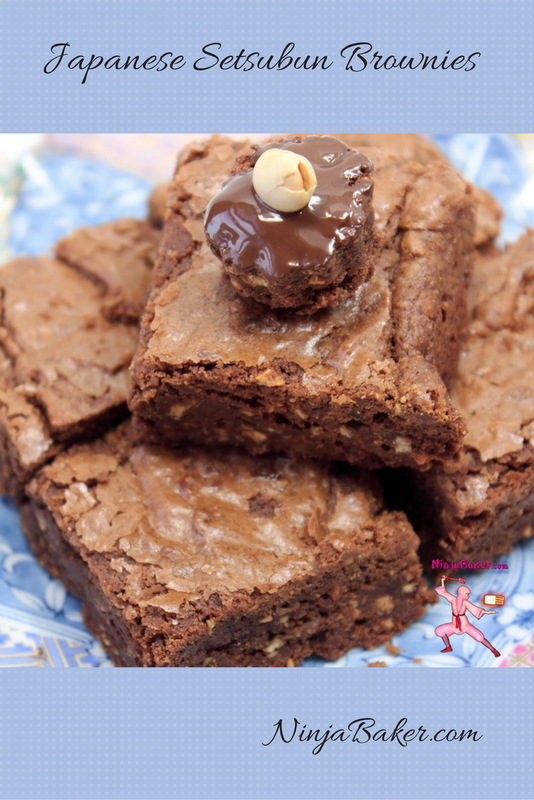 Roasted Japanese Setsubun soybeans are the perfect compliment to rich chocolate brownies. The slightly salty and crunchy soybeans contrast the soft rich chocolate. Peanuts are a fine substitute as they are similar in texture to Setsubun soybeans. Line a 13 x 9 inch pan with parchment paper or tin foil. Coat with baking spray. Crumble the Japanese Setsubun soybeans in a food processor. Set aside. Melt the chocolate and butter in a double boiler or in the microwave at 30 second intervals. Pour the chocolate and butter into a large mixing bowl. Add the sugar. Next, add the eggs and vanilla extract. Stir in the flour. Combine well. Fill the prepared pan with the batter. Bake for 35 minutes. Cool and cut. 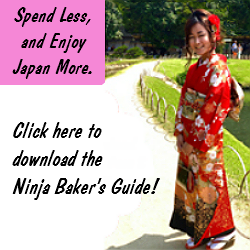 Optional: Frost with your favorite frosting and garnish with roasted Japanese Setsubun soybeans. 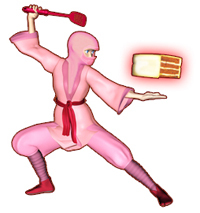 Wishing you a sweet Japanese Setsubun.